Applied Behavior Analysis (ABA) is an evidence-based treatment strategy used to decrease challenging behavior and increase more socially-appropriate behaviors. Who makes up the Applied Behavior Analysis therapy team? 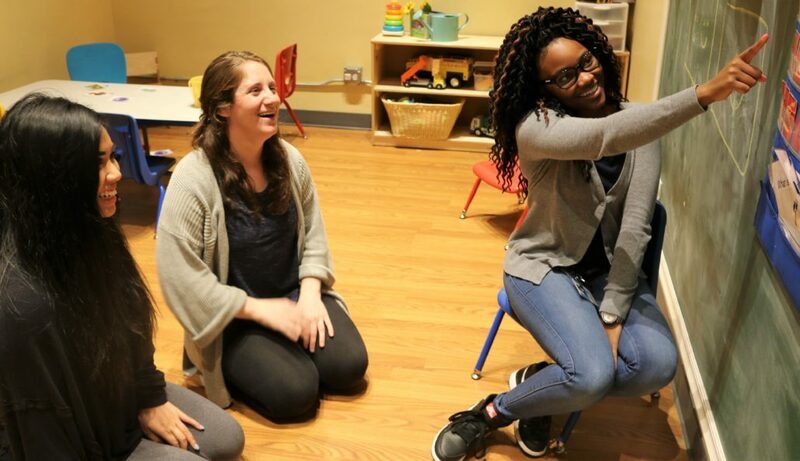 A team of 13 make up the Blue Bird Day Applied Behavior Analysis Therapy team, 4 Board Certified Behavior Analysts (BCBA) and 9 Registered Behavior Technicians (RBT). Blue Bird Day’s Behavior Analysts play a key role on the team as they oversee the instruction programs and behavior management protocols. 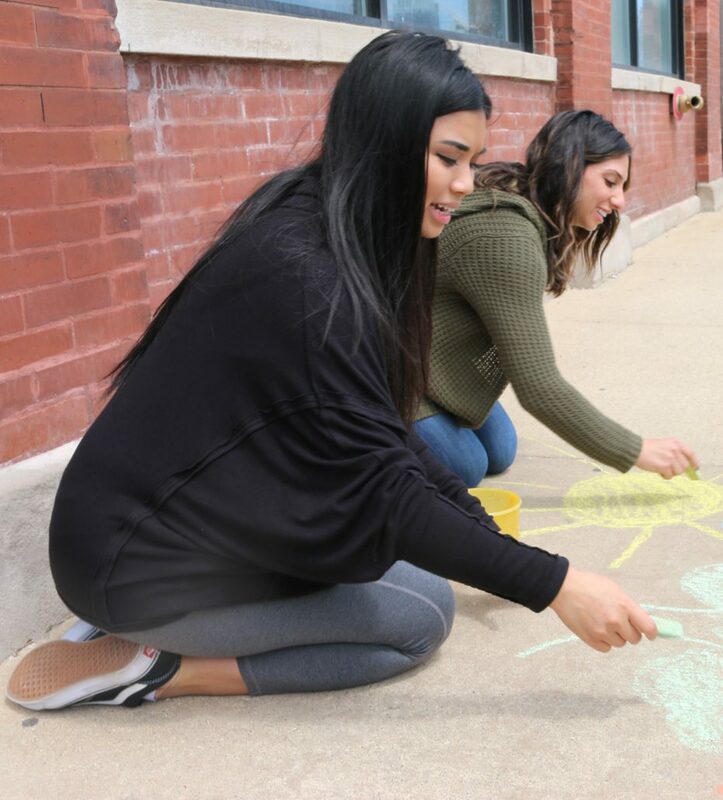 They are responsible for conducting assessments, creating individualized treatment plans and provide collaboration within the therapeutic disciplines and the families. Our Behavior Analysts are Jillian Gottschling, Courtney McCann, and Kelly Dues. 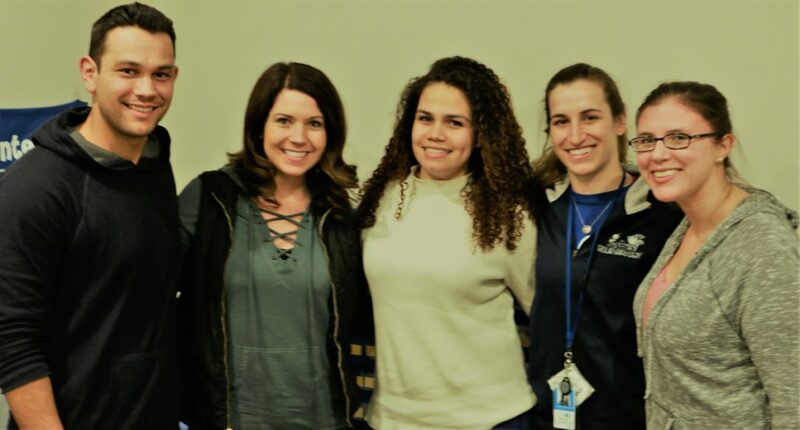 Blue Bird Day’s Behavior Therapists are an important part of the team as they are primarily responsible for the direct implementation of behavior analytic services. 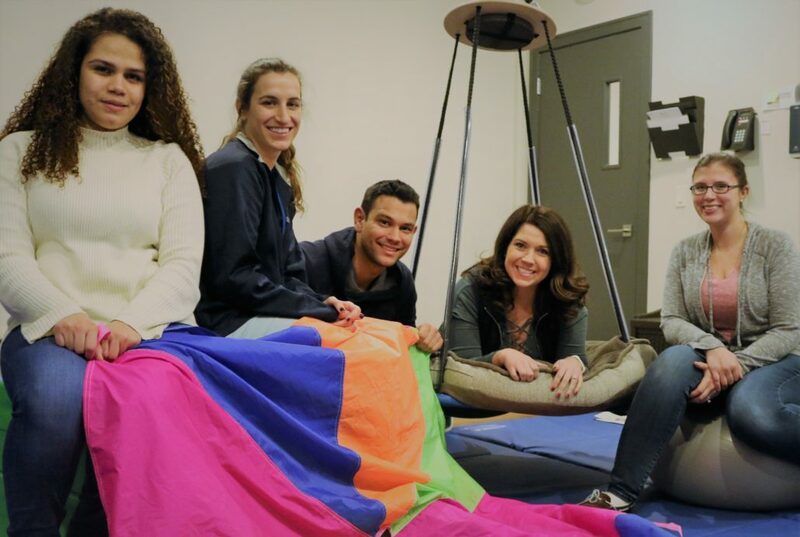 They adhere to the principles of ABA therapy in group and individual treatment sessions and work closely with the Behavior Analysts. Our Behavior Therapists are Melissa Reynolds, Breanna Piazza, Kate Cardenas-Martinez, Raquel Rausch, Kristin Harker, Amanda Minahan, Sydnie Merriman, Amber Young, and Briana Comer. How does ABA fit into the Blue Bird Day program? All Blue Bird Day therapists use a relationship-based approach and work collaboratively across all therapeutic disciplines to create the most individualized treatment plans in the best interest of the child. 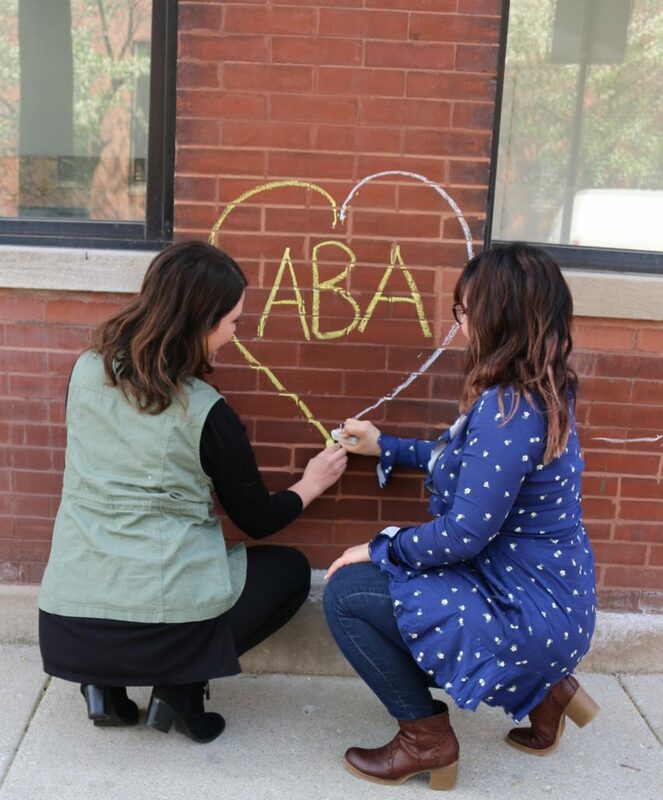 In order for a child to receive ABA therapy, BCBAs will conduct assessments and make recommendations specific to each child’s therapeutic need. 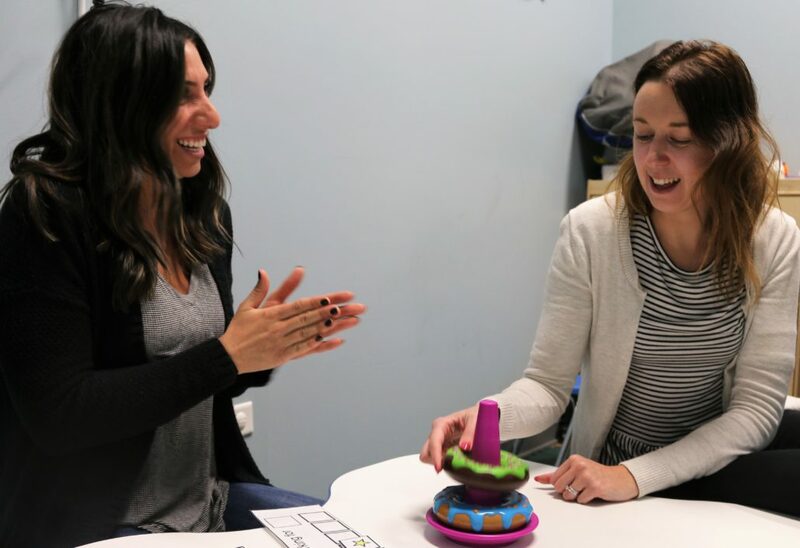 ABA Therapists and Analysts use interventions such as reinforcement, prompting and fading, shaping, modeling, chaining and task analysis, which are all common ABA techniques. Additionally, therapists use play and NET to teach new skills, increase language, and promote social and play skills. ABA therapy can be performed in individual or group treatment sessions throughout the scheduled day. Blue Bird Day ABA therapists are also equipped to treat in the home. How does Applied Behavior Analysis work? Behaviors are everything people do, including how they move, what they say, and what they do. In the practice of ABA, the focus is on behaviors that are observable and objectively defined, such as walking, talking, sitting, hugging, and eating. 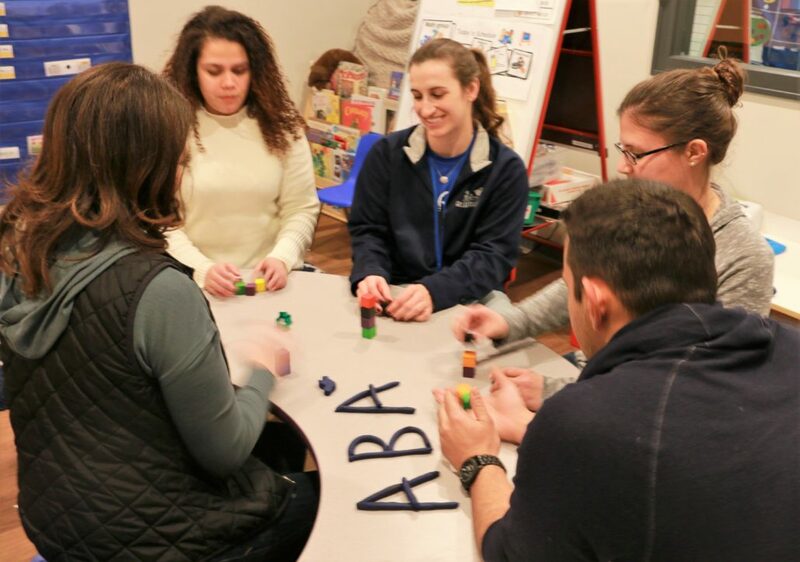 ABA therapy enriches environments so that the desired behaviors are probable and uses strategies to teach and promote lasting behavior change. 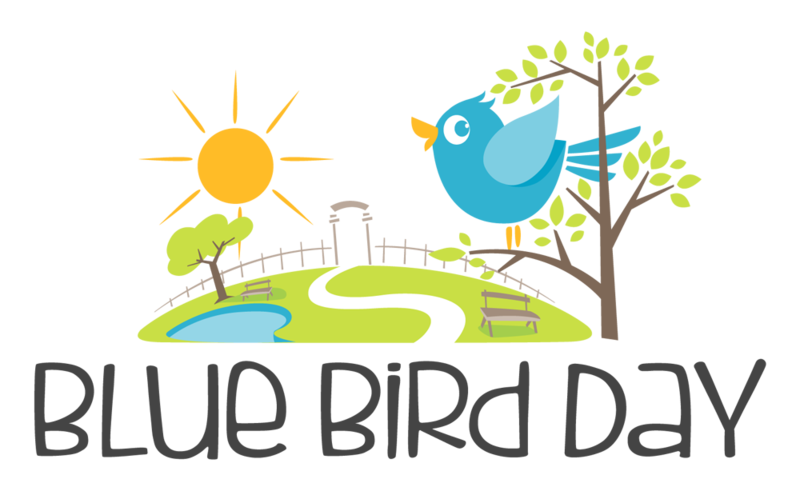 Blue Bird Day utilizes Discrete Trial Teaching (DTT), Verbal Behavior (VB), and Natural Environment Teaching (NET) strategies. DTT is a structured way of teaching a skill and breaking the skill down into smaller components. VB is based on the principles of ABA to teach children communication. NET is a natural way of teaching new skills, such as learning through play. Therapists use techniques such as positive reinforcement, prompting and fading strategies, breaking down skills into smaller components, token systems, chaining, and programming for generalization within the individual learners’ natural environment to ensure learned skills are retained and demonstrated across people, materials, and places. These strategies have been effective in teaching a wide variety of skills in learners with and without disabilities. The overall goal of ABA Therapy is to change behaviors. 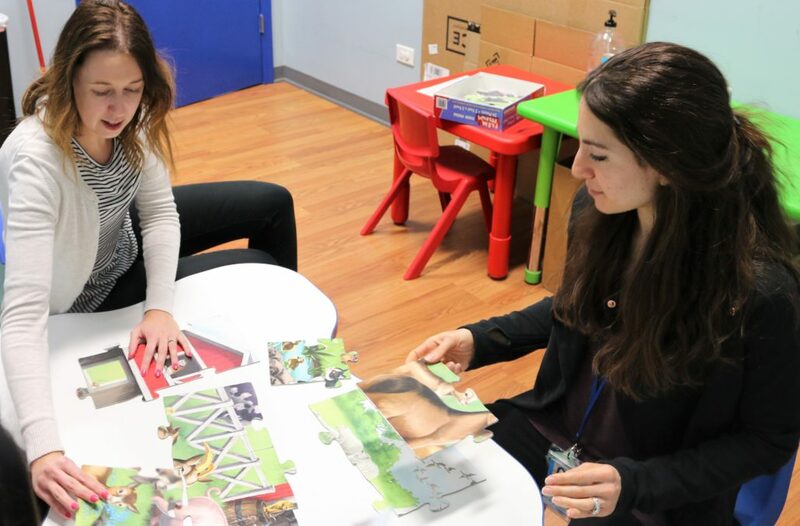 Blue Bird Day’s ABA therapists and analysts prepare children to transition to a less-restrictive environments (i.e. school, classrooms, community outings/events, etc. ), increase their independence to communicate with others, complete self-help skills, develop and maintain age-appropriate social, play skills, and group skills. Each child at Blue Bird Day has individualized treatment goals based off direct assessment, observations, and parent interviews. The individualized treatment plans are unique to their own therapeutic needs. Treatment goals are created based on skill deficits and/or barriers that are impeding with their ability to learn within their natural environment.